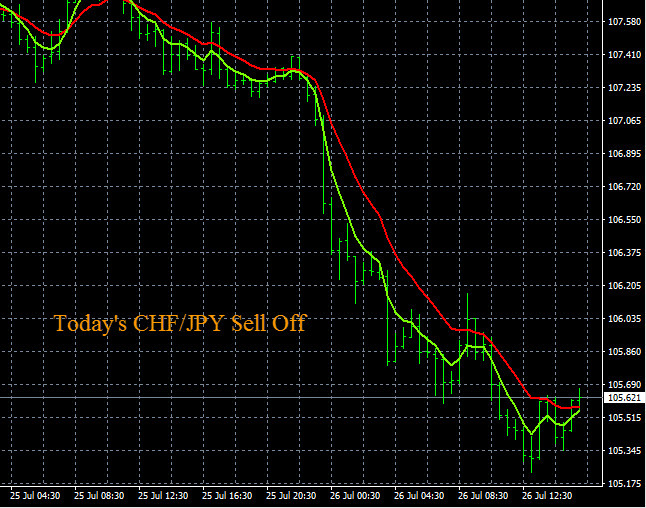 Today in the main forex trading session the CHF was weak on all pairs. The CHF/JPY dropped substantially and is trending lower on the D1 time frame, it has ongoing pip potential in the current downtrend. The NZD/CHF also moved higher and this pair should start trending up on the H4/D1 time frames. We will look to plan more buys going forward in our trading plans on the NZD/CHF. Other CHF pairs like the AUD/CHF and GBP/CHF moved up pretty strong today on the CHF weakness in the market but these pairs are inside of ranges and were short term buy trades or day trades. The images below show the live CHF trading signals from The Forex Heatmap® along with the associated price chart movement in the direction of the trends.